WestJet just turned 20, and you can get 20 WestJet dollars when you book their flights. Online registration is required. Note: Purchase at least 10 days prior to departure date for Canadian destinations. Purchase at least 7 days prior to departure date for U.S. destinations. With a choice of over 50 routes, the Fixed Points Redemption Option makes it easy to see where your Membership Rewards points can take you. Between February 16, 2016 and May 31, 2016, you can book from over 50 eligible round-trip economy class routes at fixed points amounts, regardless of when you travel. The fixed points amount covers the base ticket price of your flight, which excludes taxes, fees, carrier surcharges, and any amount above the maximum base ticket price listed below. From the table, it shows that the MR value per point is above 1.5 cents. 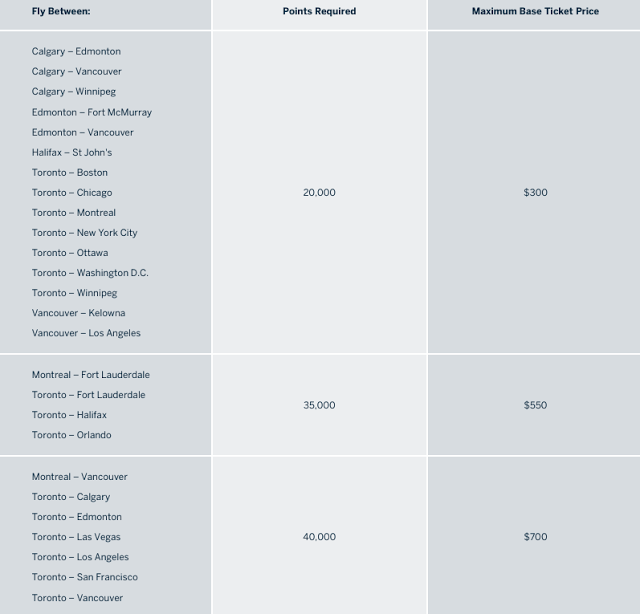 I should say that this fixed price redemptions make the MR the most flexible point program in the Canada. You should keep the MR in your AmEx account before you making any travel decisions. Starwood Preferred Guest has announced its 2016 hotel category changes, which will take effect on March 1, 2016. If your favorite hotel or resort is moving up, there’s still time to book at the current redemption rate before the 2016 Category changes go into effect. The good news for Canadian residents is that only 1 Canadian hotel is actually increasing its category, while 13 Canadian hotels are decreasing their category. You can find the full hotel list from the link above. Before Feb 29, if you apply for the Rogers Platinum MasterCard in the Rogers Store, you can get $100 welcome bonus (the best offer for this card so far). This is exclusive in-store offer. 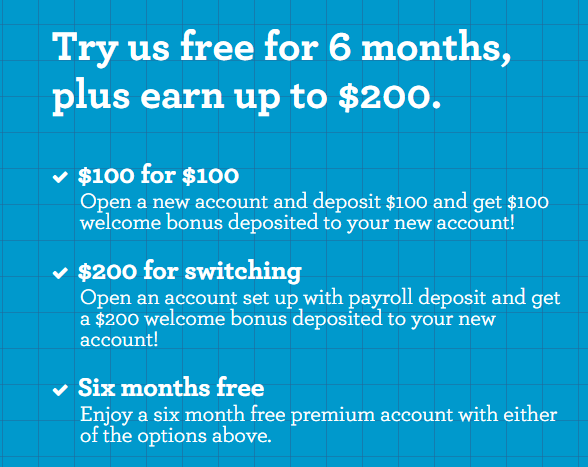 If you apply online, you can only get $35 welcome bonus. 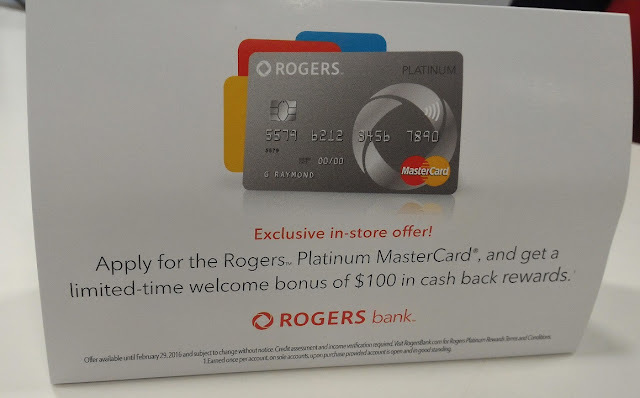 Therefore, if you are using Rogers/Fido/chatr services, this is a great credit card for you (no annual fee, 1.75% return, no foreign transaction fee) + $100 welcome bonus. It is better than the Chase Amazon Visa if you travel outside of Canada. Spend 50,000 Shoppers Optimum Points and get up to $100 off your cosmetic, skin care and fragrance purchases – that’s an EXTRA $15 off! OR, spend 95,000 points and get up to $200 off your beauty purchase – that’s an EXTRA $30 off! Today is the first day of Lunar year of Monkey. To celebrate it, you can get 10% off flights to Asia for travel between March 1 and June 15 2016. Book with the promotion code by February 13, 2016. Maximum 9 passengers per booking. Valid on flights operated by Air Canada, Air Canada Express and Air Canada rouge. Codeshare flights are not eligible. You can get 80% more points if you buy Hilton HHonors points before Feb 8, 2016. Normally, you can buy 1000 points with $10 USD, and now you can get 1800 points with $10 USD (Canadian residents need to pay GST/HST). This is a good offer, if you need some points for rewards nights redemption. 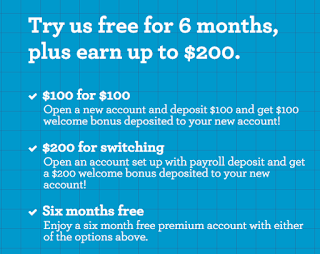 You can find this offer when you log into your online HHonors account.